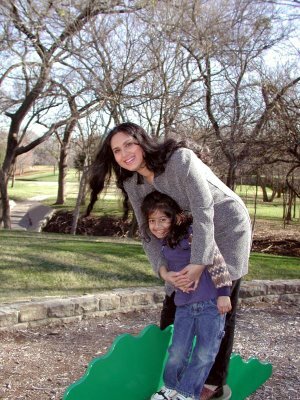 Meenakshi Seshadri, the Bollywood star actress who scorches the screens in the Eighties and the Nineties, is living a quiet, married life in the United States. Meenakshi Seshadri was born on Nov 16, 1963 in Sindri, Jharkhand as Shashikala Seshadri to Seshadri Iyer (Father) & Sundari Seshadri (Mother), the name Meenakshi was given to her by actor-producer Manoj Kumar. Her first film at the age of 18 was Painter Babu in 1982. Meenakshi Seshadri’s both parents were originally from Tamil Nadu, however since her father worked at the Sindri Fertiliser plant, she was brought up in Jharkhand and Delhi. 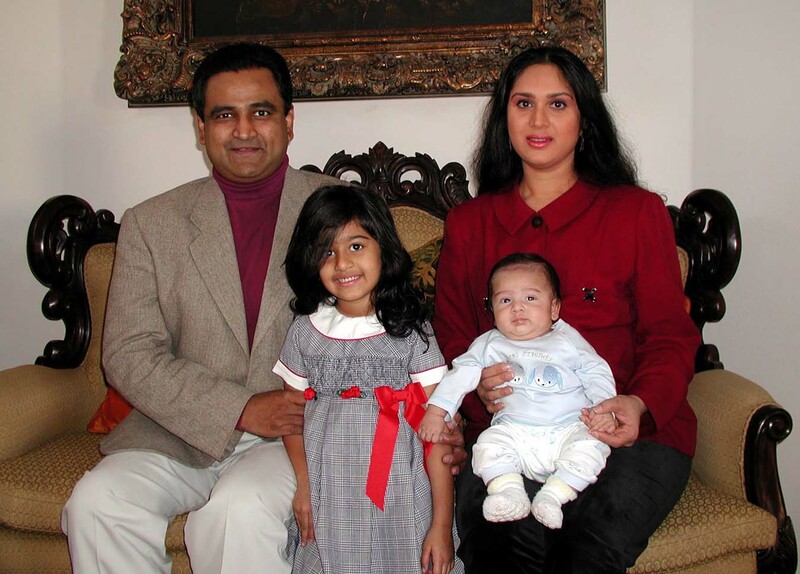 Meenakshi Seshadri is married to Harish Mysore, an investment banker in 1995. They have a daughter Kendra Mysore & a son Josh Mysore. They live in Plano, Texas. There, she teaches Bharatanatyam, Kathak and Odissi. She performs with her students at charity events and fundraisers. A philanthropist, Meenakshi Seshadri and her disciples performed at the American Association of Physicians of Indian Origin (AAPI) convention in California. In 1983, her film Hero became a superhit, and she got the National Award for best female actress for the film Damini. Once the heroine of ‘Hero’ hopped from one shooting to another, today her priorities have shifted. 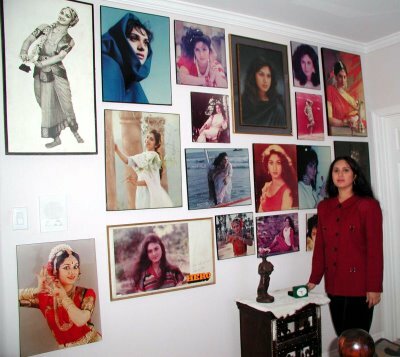 Meenakshi Sheshadri from dancer, actress to homemaker. With a loving husband, a successful marriage and two lovely kids, her happiness seems to be complete. But the climax for a happy life was not all a fairy tale. Life changed for the 80s’ and 90s’ most talked about cine star Meenakshi Sheshadri when she stepped out of her comfort zone. The sensational diva of Bollywood departed her ‘comfort zone’, India in 1995 and married US based investment banker Harish Mysore. “It was not all that easy for me to settle down in the US,’ recalls Meenakshi, “belonging from a very indo-centric background, life abroad shook me”. The journey from Mumbai’s hustle bustle shooting sets to the isolated locales of Texas was unimaginable. While taking care of household chores in her beautiful double-storied house in Dallas the actress/dancer laughs out on those bygone days when going to India was just an easy escape from reality. “I just could not relate myself with the US environs,” says Sheshadri. “I was so used to my driver and above all I was terribly scared of driving, it took me almost three years to plunge onto the freeway,” confessed Meenakshi. However the paradoxical lifestyle compelled her to reject the present. Nevertheless, it was during those lengthy trips to India, she realized that she had to step out of her ‘comfort zone’ and venture the beautiful future ahead. She soon got enrolled in a driving school in Dallas. Today, just like any other Indian American mom Meenakshi speeds along the freeway to pick up her daughter from school. While her hands are full taking care of an eight-year-old daughter Kendra and two year old Josh, Sheshadri successfully operates her dance school. For Meenakshi dance was always a passion, she relates herself more closely as a dancer than an actress. With the burning desire to continue the art and extend this culture in a foreign land, Meenakshi with the full support of her Harish introduced Cherish Dance School. This three-year-old dance school goes beyond teaching dance. It is an assembly of talented dancers, a voluntary body to enhance multi-culture, revealing the best talent of people of all ages. 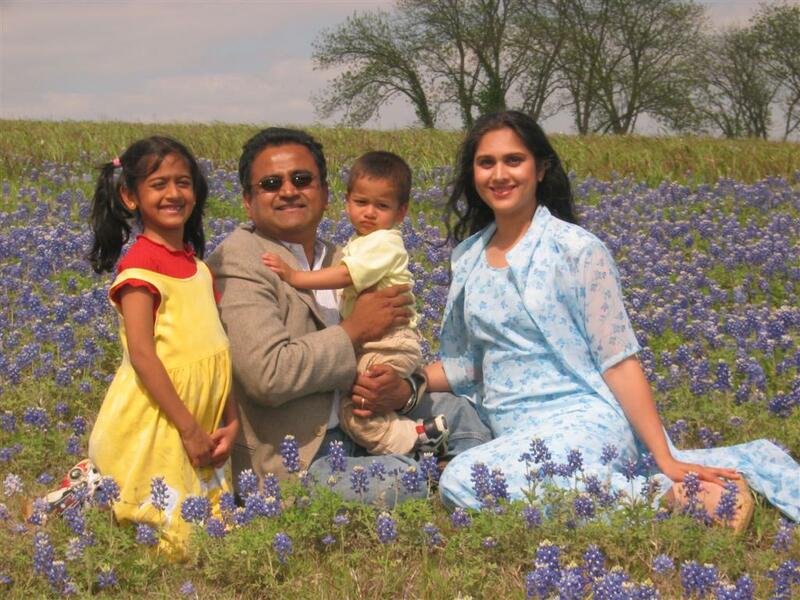 Being level headed, Meenakshi easily gained love and affection not only from her family members, but the Indian community in Dallas nurtures her dedicated efforts. Mesmerized by her life experiences, Margrett Stephens is presently working on a two- hour musical documentary on Meenakshi Sheshadri. The documentary ‘Meenakshi Accept Her Wings’ depicts the transitional lifestyle of dancer, actress to a homemaker. The movie tells about her life after movies and marriage. Meenakshi’s potential as an actress was tremendous, she gave the Indian film industry several super hits like ‘Hero’, ‘Damini’, ‘Ghayal’ and the list goes on. With a combination of good looks and dancing abilities the actress was never thirsty for big banners. Harish’s sister played the central part of introducing the two while in India and thus started the eternal love story. From the heartthrob of millions to the mommy next door, Meenakshi cherishes every moment of her life. Today Meenakshi accumulates success in terms of quality and not quantity. Her priorities are finally set. “Family is everything for me,” says she. @sachin Respect a woman dude . @anonymous: respect man and woman both, dude. I always admire her beauty and her simplicity.........All the best Meenakshiji!!!!!!!!!!!!! She is an idol...angelic beauty.....Similarly Madhuri Dixit...They are inspiring, role models in life. @Anoynous: O id'iot , I repeat Respect Men AND Women. Meenakshi Sheshadri should be respected by the another id'iot Mr. Sachin ,thats for sure. But that does not mean that Amitabh Bachchan,Dilip Kumar,.. are not respectable. O id'iot, I repeat Respect MEN and WOMEN BOTH. Well I m frm Maharashtra but working in Kumbakonam (i've heard its ur birth place) And very glad to see you r happy. Take care of ur kids very very nicely. Parents are the best friends to them. Minaxi Ji, I am your biggest friend. Missing you a lot.Please come back sometimes. I want to see you again...Please come..
meenakshi, you are great...miss you on silver screen but,seeing your family and so cute...BE HPPY...family is everything.....really indian...may god bless you forever. i am a big fan of meenakshi ji ... i love u so much.&you are leading a happy life...God Bless You and your Family .